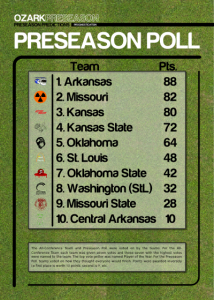 The 2012 Preseason Poll as it appeared in the magazine. 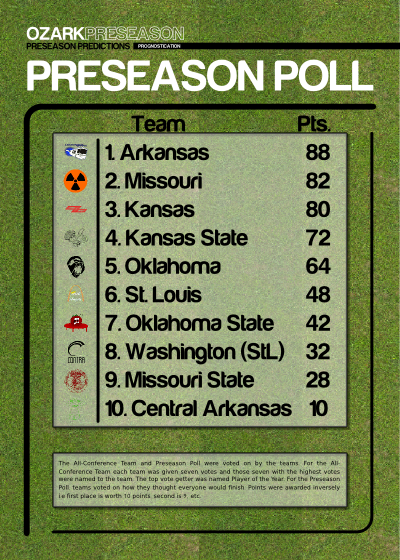 This entry was posted in Polls, Print and tagged Arkansas, Kansas, Kansas State, Missouri, Missouri State, Oklahoma, Oklahoma State, St. Louis, UCA, Washington by Will Dockery. Bookmark the permalink.